Biography: ​Trish Brownlee is an interdisciplinary artist and arts educator. 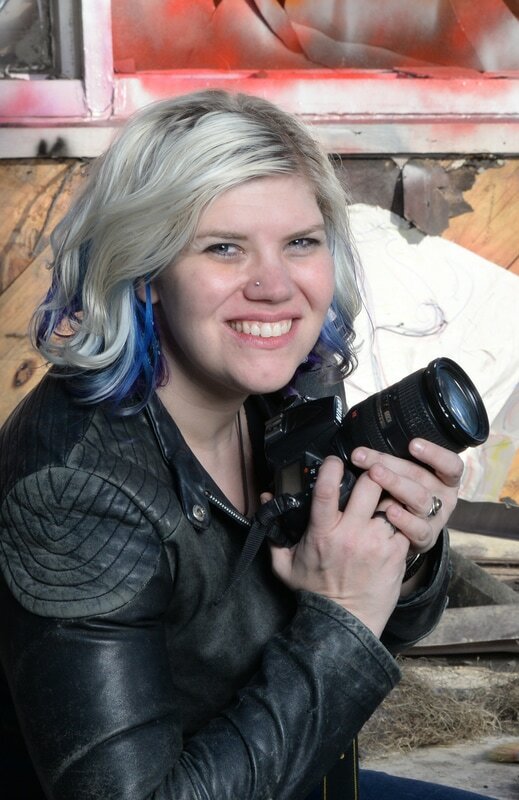 She is a published photographer and exhibiting fine artist. Her creative practice embraces transformation and storytelling, exploring traditional media integrated with technology. Trish is an advocate and teaching artist, leading youth and adult art programs in her community. Trish earned her Master of Fine Arts in Visual Arts from Pacific Northwest College of Art in 2015, and her Bachelors of Arts in Visual Arts from Fayetteville State University in 2012. She is currently teaching Graphic Arts in the Fine Art Department at the UNC - Fayetteville State University. She is also an adjunct instructor for the Art of Education University. From 2014-2018, Trish taught arts integration and foundation visual arts at the Capitol Encore Academy, and has extensive training in Arts Integration. Trish was recognized in 2018 as a Fayetteville 40 under 40 Honoree for community leadership. Trish is a 2016 & 2013 recipient of the Regional Artist Grant from the Arts Council of Cumberland County. Trish attended the 2015 Penland School of Crafts winter residency in papermaking, and served as Artist-in-Residence at Cape Fear Botanical Garden from 2016-2018. She will attend a month-long residency in August 2019 at the Vermont Studio Center. Trish is a disabled veteran and former military photographer, and is the spouse of a disabled, combat veteran. After studying the history of art in war and the uses of art in veteran treatment programs during her master's program, Trish is now using art as tool for veteran advocacy. She is a graduate of Veteran Women Igniting the Spirit of Entrepreneurship, and works with various veteran artist projects. In 2016, Trish launched Breaking Rag: A Veteran, Family & Community Art Project . Breaking Rag is veteran, family and community art project, focusing on making handmade paper from military uniforms in a open forum, creating a safe space for storytelling and sharing of the veteran experience through the arts.